Finding the right place for BMW Service in Abilene, TX can be tricky. You need an auto shop that’s certified to perform BMW repair services, not just a shop that handles general automotive services. Procter Automotive is the best BMW shop in the area and they have years of experience performing the services you need to make sure your BMW vehicle continues to be the ride you want to enjoy. Come in and see this team and let them help you with the maintenance or repair work that needs to be done on your BMW vehicle. Most of the automotive service shops in the area work on domestic and mainstream brands but if you need BMW repair services you need a team that’s certified to handle the luxury vehicles of this brand. 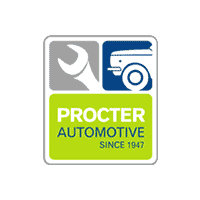 Procter Automotive is the best BMW shop in the area and is the right place for the service and repair visits you’ll need. Come see Procter when you need BMW service in Abilene, TX and let this team give you what you need. This is where you want your high-class luxury vehicle serviced so that you can enjoy the drive. It’s important to have confidence in the BMW shop you choose. You want to know your investment into a sports luxury brand is worth the money you spent. Take your car to the best place for BMW service in Abilene, TX and let the team at Procter Automotive see what you need. This is the team with the expertise you’re looking for. With years of experience in BMW repair the team at Procter can handle any job you have and put your BMW back on the road quickly. Come in and let this team get the job done for you. From oil change, brake repair, clutch to check engine light and transmission repair, we are available.